The museum is forbidden by it bylaws from purchasing artifacts, but can accept donated items. The Museum is a non-profit organization and can provide a receipt for your donation. 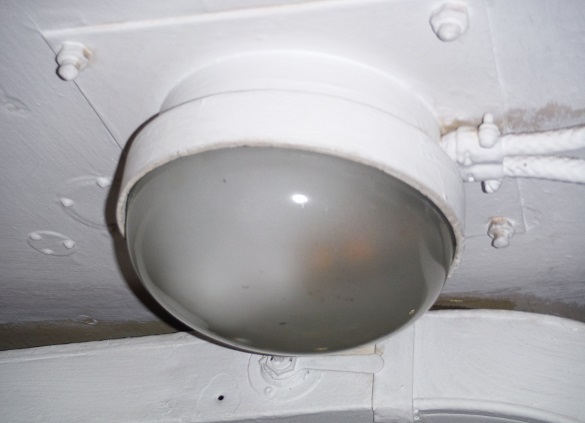 We cooperate with other maritime museums that also need parts for the restoration and repair of their historic ships. See the tab - Parts to Trade. ONE LOCATED and now in hand! Thank You Tom H for your valuable donation !!! 3) two URC-7 Remote Handsets for the Pilothouse: one located and donated, still need one more! We would be interested to obtain detailed plans for this in case we have to have one fabricated. 6) one Chart Table Light. ITEM LOCATED and IN HAND! THANK YOU to Tom H for your donation! 8) Parts for an AN/SPN-11 RADAR Antenna that we have to allow it to rotate when power is applied. 9) 7 to 9 matching chairs for the wardroom, that match the oak tables. 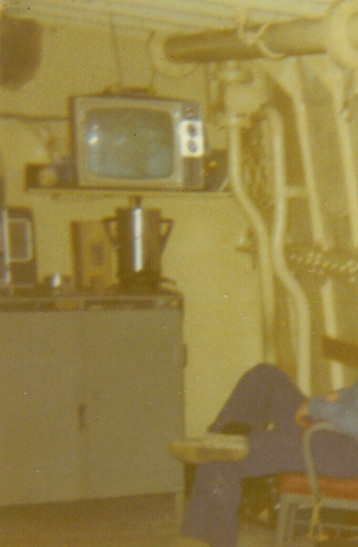 The chairs in the wardroom now, shown below, are not original and are not in good shape. ITEM DONATED and IN HAND! THANK YOU to Kurt K for your donation! ITEM DONATED and IN HAND! 12) Parts for GM 6-71 and 2-71 Diesel Engines, especially hoses + filters and injectors. Some have been obtained at JRRF. Thanks to the JRRF staff for their assistance. But we will take all we can get. 19) The original brass Builders Plate for the Lightship that was located in the Engine Room Fidley. 20) The original wooden, 10 spoke, ships wheel that was installed in the Pilothouse before the brass one was installed in the 1970s. 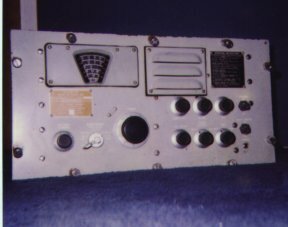 21) One R-649/URR 200Khz - 18Mhz Radio receiver, built by Hallicrafters. 27) Two complete lock sets with door knobs, internal parts for another six and another 4 door knob sets. 1 COMPLETE LOCK SET FOUND, STILL NEED ONE MORE. THANKS GREG! 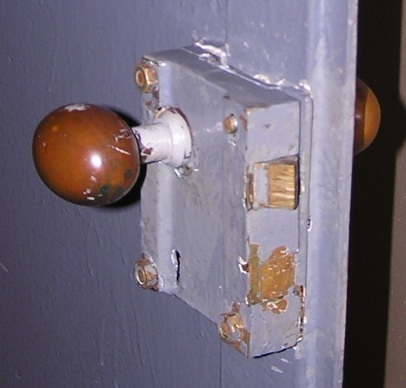 Door knobs are oblong, not egg shaped. Note the locks are keyed for a skeleton key. 28) Three complete lock sets with door knobs. Note they are keyed for a skeleton key. 30) 120 feet of radio antenna wire, 1/16" thick. 32) One TB-142 Radio Beacon Transmitter unit.